William N. Agee and Nancy Ellar Christian Agee had two sons die very young. 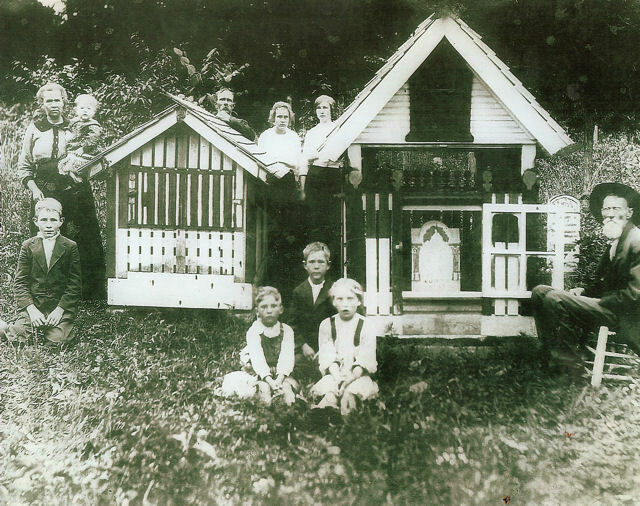 One son was stillborn about 1910. The other son, Guffrey died in 1914, when he was about two years old. 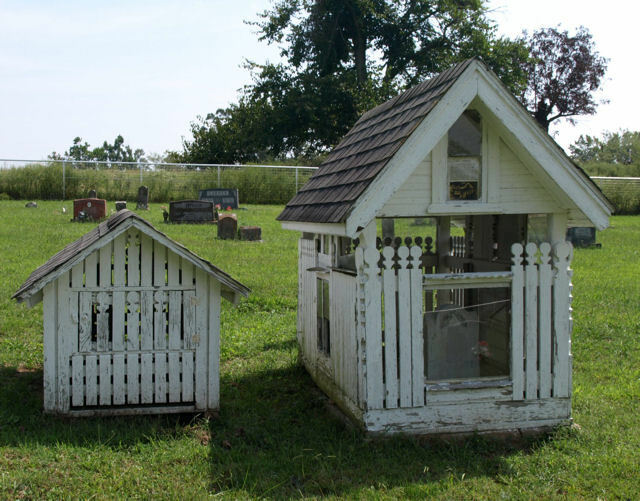 Their grandfather, William N. Christian, built two little houses over the graves to protect them. He kept a split bottom chair inside the largest house. Every day he would walk the two miles up the hill to the cemetery, take out his chair, sit and whittle to "be with the babies" until evening. The old photo taken ca. 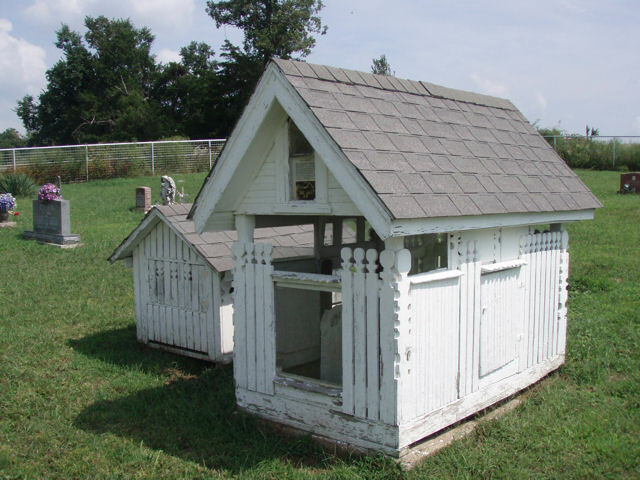 1915-16 is posted inside the gravehouse courtesy of the Agee family. 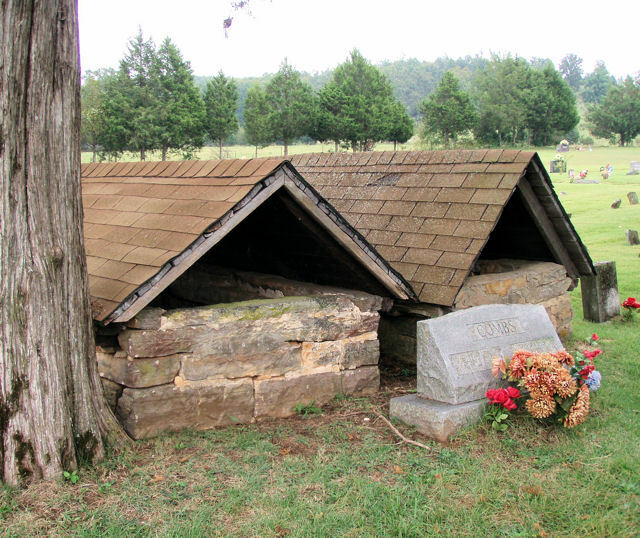 Our thanks and appreciation to Abby Burnett of Kingston, AR for sharing her research on grave shelters and cemeteries in Northwest Arkansas.